Freedom 251, the smartphone from India that's known as the world's cheapest smartphone, will have its first batch of units ready for delivery on June 30. 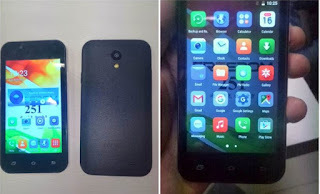 The smartphone is priced at a mind-boggling 251 Indian Rupees. At 70 centavos per Indian Rupee, that converts to roughly P175.00. Yep, you read that right, it's priced below 200 pesos. The smartphone is built by Ringing Bells, a company whose mission is to sell cheap phones to poor Indians especially in rural areas, so they can have access to the digital world. For its unbelievably low price, Freedom 251 has the following features: 4-inch screen, 1.3GHZ quad-core processor, 1GB RAM, 8GB internal storage,8-megapixel camera, 3.2 megapixel front camera and an 1,800 mAh battery. It's also a dual-SIM phone with two variants, black and white. The specs may not be that impressive, but hello? For P175, that's way too cheap. The lowest-priced smartphone in the Philippines cost about P500, and the specs are way below that of Freedom 251. Another cheap model is priced at around P1000 but has half the internal storage and RAM as the Freedom 251. So, how can Ringing Bells sell it that low? According to Founder and CEO Mohit Goel, they are going to incur a loss of 151 Indian Rupees (P105.00) for each device, but they don't mind. He is happy that Ringing Bells will make it possible for the rural poor to be part of "Digital India". 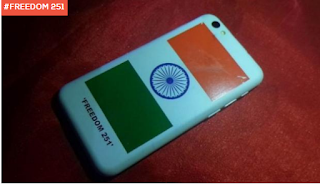 When Freedom 251 was announced in February, it caused an uproar among phone manufacturers in India. The India Cellular Association (ICA) asked the telecom minister to investigate how the company can come up with such a cheap phone. ICA estimated that materials to build a smartphone with even lower specs (3.2 MP back camera and .3MP front camera) would cost about $40. 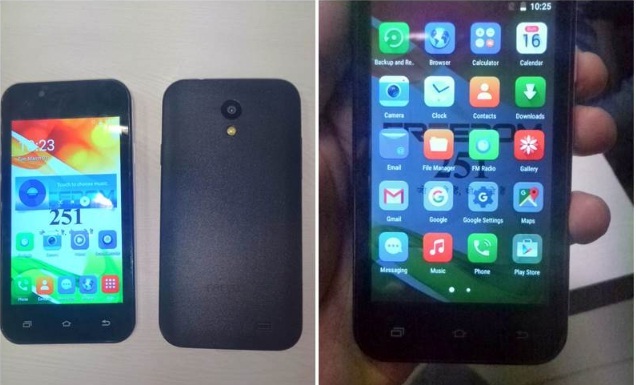 The Indian Express reported that with the specs of Freedom 251, it should cost around 4000 rupees or P2,786.00. But that was months ago. Now, Goel says that the phones are manufactured at their Haridwar-based manufacturing unit. Ringing Bells' website, which accepted pre-orders for the phone, crashed 3 days after it started booking orders. The company claimed it has 70 million registrants for the phone. The company will fill a total of 2.5 million orders by June 30 and will deliver 200,000 units per month across India. As to how well the device will perform, that remains to be seen. For a smartphone that's even cheaper than the price of a movie ticket, we don't think buyers will be so demanding when it comes to the phone's performance.